Squire Brass Padlock 40mm LP9 - Shackle Diameter 6.3mm - Shackle Clearance 21.8x20.7mm - Material Solid Brass. 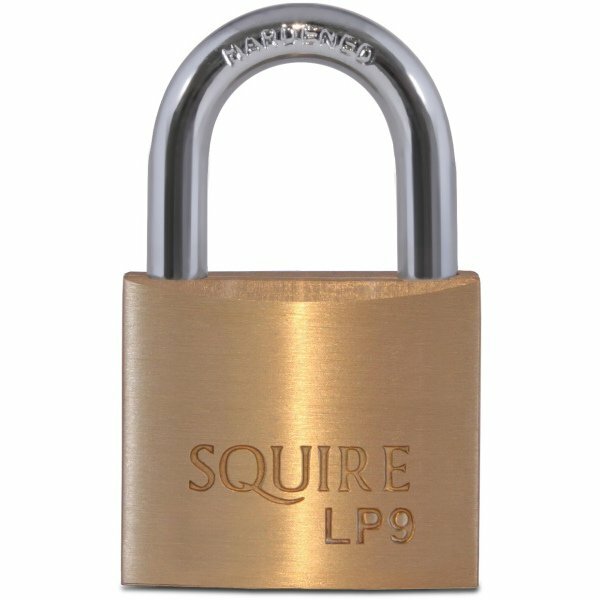 Squire Solid Brass Padlock 40mm LP9 is a double locking padlock from the Squire Leopard range. These locks come with pin tumbler mechanism and stainless steel springs. Suitable for internal and external use. Recommended for lockers, luggage, toolboxes, sheds, lockups, vans, boats etc.